Meeting at Night is a dramatic lyric and also a love poem. It was probably written after the poet’s wedding with Elizabeth Barest. The poem was first published in 1845 in Dramatic Romances and Lyrics, a collection of his poems. The very theme of the poem suggests that it has some autobiographical flavour. However, its lively style and abrupt ending make it a typical poem of Browning. A lover felt a deep desire to meet his beloved at night. She lives in a farmhouse on the other side of the sea. The lover starts his journey in the cold night in a boat. The sea is ashen and the moon is crescent. The boat is on its way. The sleepy sea awakes through ripples and small curls. The lover is restless and passionate. His boat reaches the bay after a long journey. Coming down from the boat, he walks along the sea-scented beach. He passes three fields to arrive at the door of his beloved’s cottage. He makes a tap and a scratch on the window pane to announce his presence. A match is lighted inside. He is still tossed by joy and fear. Just then a voice is heard, softer than the beatings of two hearts in deep excitement of meeting with each other. Meeting at Night is a short and simple love poem. It begins with a journey for love and ends with a union. The imagery of the poem is extremely picturesque and pastoral. The phrases like ‘sharp scratch’, ‘lighted match’, ‘fiery ringlet’, ‘slushy sand’ etc justify the poet’s supremacy in selection of words. The poem ends abruptly like most other poems by Browning. The rhyme-pattern in both the stanzas is abccba. The poem is written in iambic tetrameter, though loosely applied. Browning’s poem, “Meeting at Night”, is primarily an account of a lover’s journey to meet his ladylove secretly at night. The lover takes up a long journey in the sea and on land to reach his destination. First, he sails in a boat in the grey sea. The land looks black. The speaker moves on towards the land. The yellow moon is rising. It looks large and low. The waves are very active and playful and dancing in joy. They look like fiery ringlets. The speaker moves on until his boat hits the slushy sand. He lands on the beach, walks a mile on the sea beach and crosses three fields to reach his destination, a farm house where his beloved lives. There, he taps at the window-pane. His ladylove responds by lighting a match within. In this way, the lovers overcomes all obstacles and finally, meets his beloved. 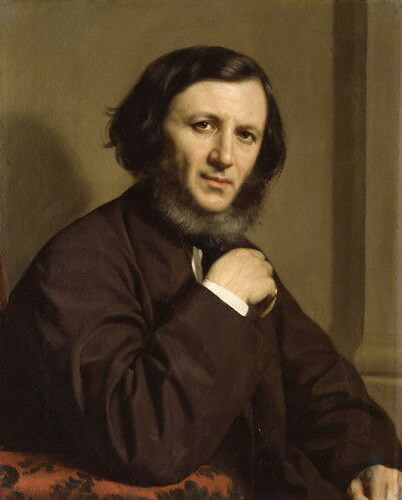 Robert Browning gives a vivid description of the nocturnal atmosphere in his poem “Meeting at Night”. 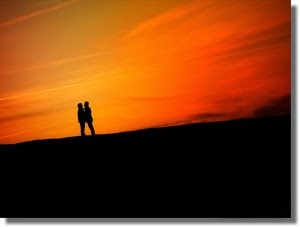 A lover undertakes a long journey at night to meet his beloved. He sails in a boat in the sea. The shadows of the dark night are falling rapidly and the sea appears grey. When he reaches the beach, darkness engulfs the atmosphere and the land appears long and black. The moon appears ‘yellow’, ‘large’ and ‘low’. Evidently the rising of the moon in the early evening has been suggested. The sea beach is still warm after getting the scorching heat of the sun throughout the whole day. The feeling of the nocturnal atmosphere is heightened by the silence and darkness. The silence is so reformed that even a sharp scratch of match stick on match box or a gentle tap on the window pane is clearly heard. The darkness is so intense that the blue light of the match stick is visible. The ladylove’s voice comes in a whisper. The eager beating hearts of the lovers make a sound louder than the voice of the ladylove. Thus, the atmosphere of the night helps in augmenting the effect of the poem. Browning effectively employs a variety of colours to paint the landscape and to harmonise it with the mood of the lover in his poem “Meeting at Night”. He tells us that the sea is ‘grey’. The very colour ‘grey’ suggests a journey from despair to hope. It also indicates the time during which the lover takes up the journey to meet his beloved i.e. evening. Next we are introduced to ‘long black land’. The blackness of the land well illustrates its remoteness and the time and secrecy of the journey. Now comes the epithet, ‘yellow half-moon’. It once again indicates the time. The colour yellow is also the symbolic representation of the warm and fiery passion of the lover. While sailing his boat, the lover observes that the waves leap up in ‘fiery ringlets’. The fire-red waves are also the objectified expression of the lover’s violent passion of love. Last, we find a blue flicker of lighted match from the beloved’s cottage. The ‘blue’ light suggests the urgency of meeting and the sweet sensuousness. The poem was first published in ==> “Dramatic Romances and Lyrics” in December, 1845. The poem is ==> a dramatic lyric and a love poem. The lover undertakes a journey ==> at night in the sea to meet his beloved. The lover sails in ==> a boat. When the lover crosses the sea, the waves ==> leap in fiery ringlets. The word ‘leap’ means ==> spring. The word ‘ringlets’ means ==> curled pieces of long hair. The fiery ringlets have an indication of ==> violent passion. The word ‘startled’ means ==> alarmed. The lover finds ==> the yellow half moon large and low. The phrase ‘quench its speed’ means ==> slow down. The boat is slowed down when it reaches ==> the cove. The word ‘cove’ means ==> bay. “As I gain the cove with pushing prow...” Here ‘gain’ means ==> reach. The expression ‘pushing prow’ refers to ==> moving boat. The word ‘prow’ means ==> boat. The lover’s boat stops in ==> the slushy sand. The word ‘slushy’ means ==> muddy. The lover travels ==> grey sea and black land. The phrase ‘warm sea-scented, beach’ connotes ==> the warmth of anticipation. The lover walks a mile along ==> sea-scented beach. The sea beach is ==> one mile wide. The lover crosses ==> three fields. The beloved dwells in a ==> farmhouse. “A tap on the pane ...” The tap is given by ==> the lover. The word ‘tap’ means ==> rap. The lover taps at the pane to ==> call his beloved. In response of the lover’s tap the beloved ==> lights a match. The spurt of the lighted match is ==> blue. The word ‘spurt’ means ==> flash. “And a voice less loud...” Here the voice is of ==> the beloved. The two hearts beat in ==> excitement. The beloved is ==> frightened and joyful. The focus in the 2nd stanza falls on ==> the secrecy of the meeting.